Behaviour changing apps are often not succesful because they make user feel obliged to follow orders rather than make him really want to do something ! It's pretty easy to command user to do the "right things" and this is what mobile app often do. Diet mobile app can command you not to eat the cake because that will exceed your daily callories limit. Fitness app can remind you that you were supposed have 5 kilometers run today ! 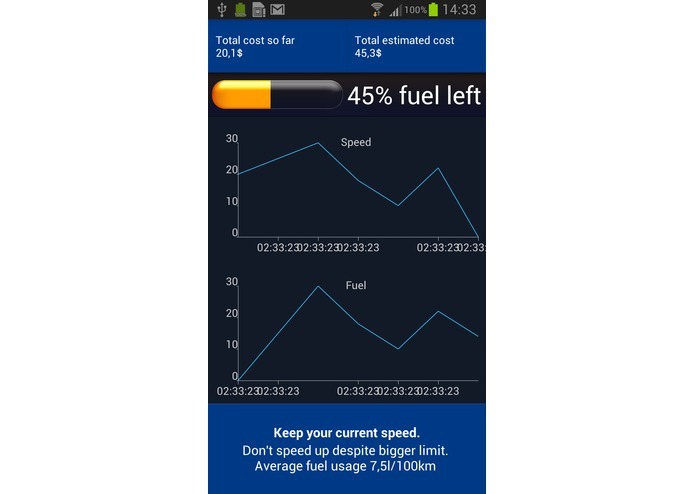 Similarly automobile mobile application can tell you to slow down if inefficient driving pattern is detected. But the problem is that natural psychological reaction is to refuse command. 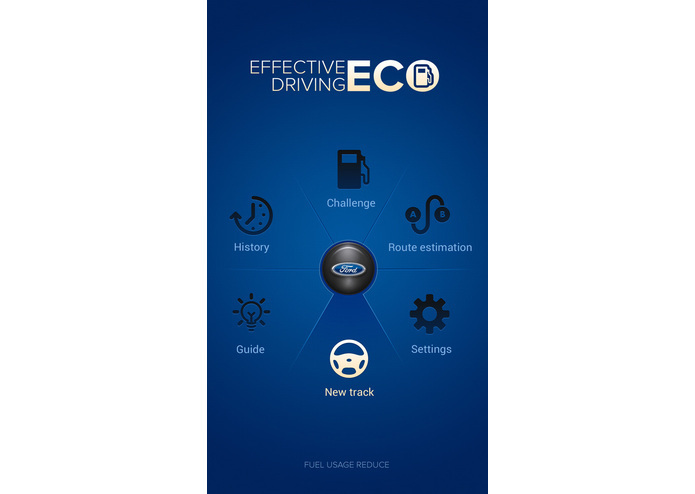 It is sometimes easy to set goals and give advices but in our understanding goog app should positively motivate users and make them really want to take on some positive driving habits. We want to accomplish that goal by introducing elements of fun and challenge - having in mind at the same time that your primary focus should be on driving and not on the app ! That's why we also introduce voice messages so that app will require zero or only minimum attention while you're driving your car. 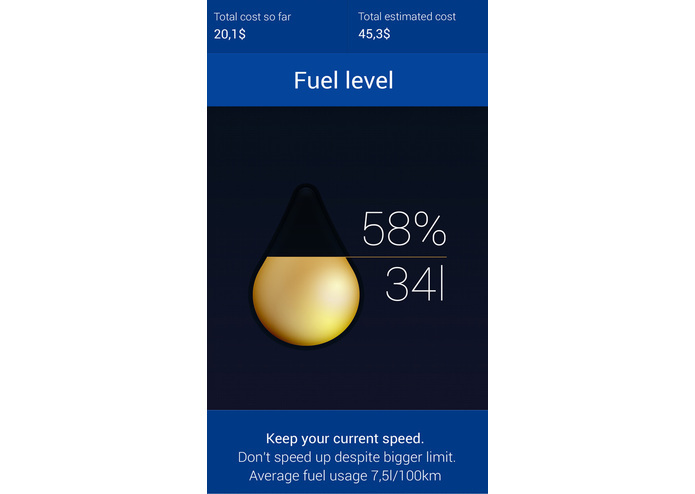 The first challenge is driving with virtual gas tank that has very limited fuel level (calculated for the route user declare to go). Please try to imagine that this is not a game but it is your real gas level indicator and there are no petrol stations on your way! Your mission is simply to get to the final destination. With very limited fuel in your virtual tank you need to apply smart driving techniques to make it happen ! 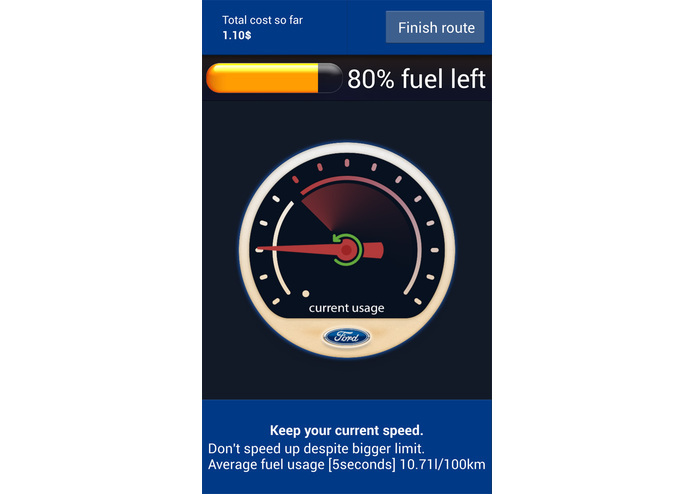 The second challenge we propose is Ford Fuel Marathon. Marathon is road-race of 42 kilometers and 195 meters - as this is the distance from Marathon to Athens. The legend states that a Greek messenger called Pheidippides was sent from the battlefield of Marathon to Athens to announce that the Persians had been defeated in the Battle of Marathon in which he had just fought. That took place place in August or September, 490 BC but today we propose to have new automobile version of the Marathon race - app register your driving at the distance of 42,195 km but it's not the time that counts this time. The winner is the one who will consume the least amount of fuel on the distance. In the next release we would plan to introduce different categories ( for different engines and car sizes or route types: city/highway). In both challenges you know your task from the beginnig and you do not need to look away from the road or tap any buttons in the app in order to succesfully accomplish them ! And if you don't fancy challenges at all you can tap "Just drive" icon and drive with nice app cockpit showing selected OpenXC data parameters and giving you smart voice advices. Warning: We offer several view modes. One of them is chart view. Charts are updated automatically while you drive and they are not recommended to be used by the driver as that be slightly distracting. Car passenger can observe charts updating in realtime but we suggest drivers to choose other type of views. 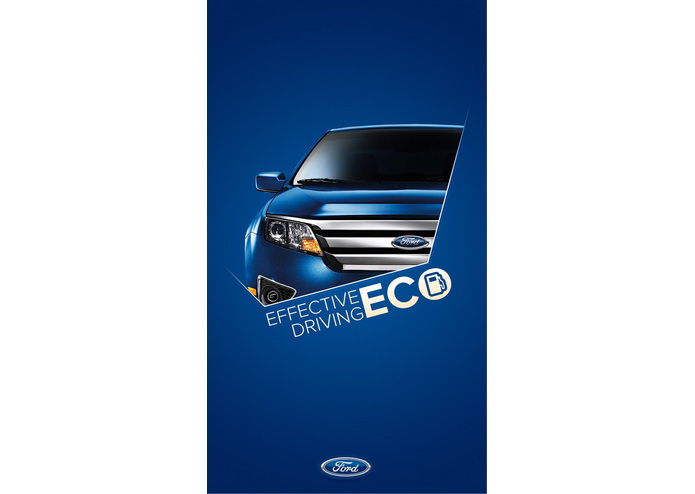 Bar type view offer very clear view that requires just a quick glance - and if your speed is within the "eco-driving" range it gives you additional signal so that you do not need to turn your head at all which might be useful in busy traffic conditions !